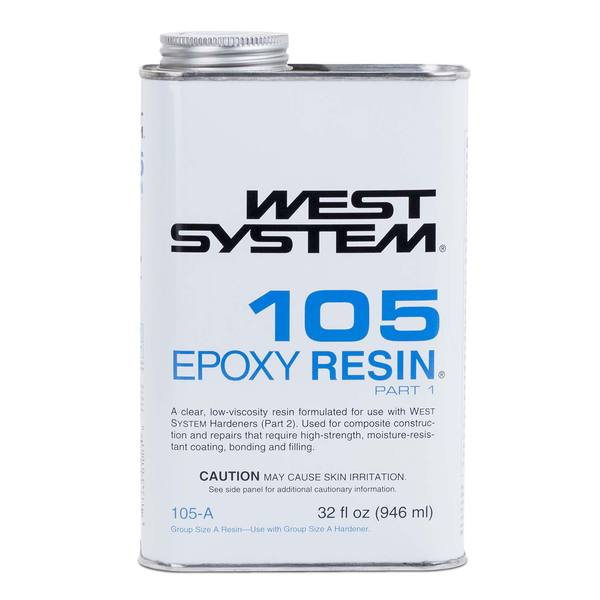 West System 105 Resin is the base material of the WEST SYSTEM family of products, on which all of the WEST SYSTEM compounds are built. WEST SYSTEM 105 EPOXY RESIN – PART “A” ONLY 105 Resin is the base material of the WEST SYSTEM family of products, on which all of the WEST SYSTEM compounds are built. The resin is a clear, pale yellow, low-viscosity liquid epoxy resin. 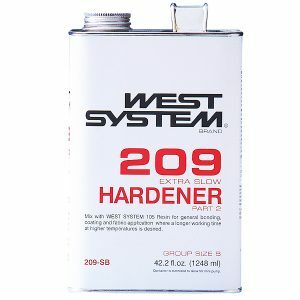 Formulated for use with WEST SYSTEM hardeners, it can be cured in a wide temperature range to form a high-strength solid with excellent moisture resistance. It is designed specifically to wet out and bond with wood fiber, fiberglass, reinforcing fabrics and a variety of metals. An excellent adhesive, 105 will bridge gaps and fill voids when modified with WEST SYSTEM fillers and can be sanded and shaped when cured. 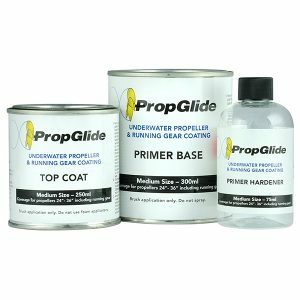 With roller applications, it has excellent thin-film characteristics to flow out and self-level without “fish eyeing.” The resin cures clear so that you can achieve a natural finish when coating with varnish. 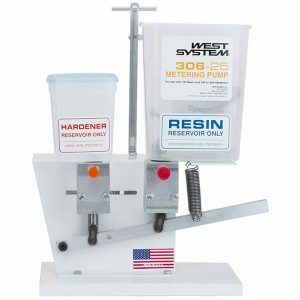 It has a relatively high flash point and no strong solvent odor, making it safer to work with than polyesters. Resin viscosity is approximately 1000 cP (centipoise) at 72°F (22°C). Sold by the Quart, .98 Gallon Pail, 4.35 Gallon Pail, and 51.35 Gallon Pail. SHIPPING NOTE: All sizes considered hazardous if shipping by air. 5 gallon pails considered hazardous if shipped with both UPS Ground or Air. 55 gallon drums can only be shipped via freight truck. Please call for freight quote for shipping a drum. If you choose to ship this product by Air or the size is hazardous to ship, we will contact you prior to shipping the order to notify you of the actual shipping cost. Any questions, please give us a call. Thank you for understanding.